Humans have been aware of gemstones and have wanted to keep them around for centuries. Carvings, jewelry, crowns, and goblets have all been crafted from gems, or designed specifically to display gems. 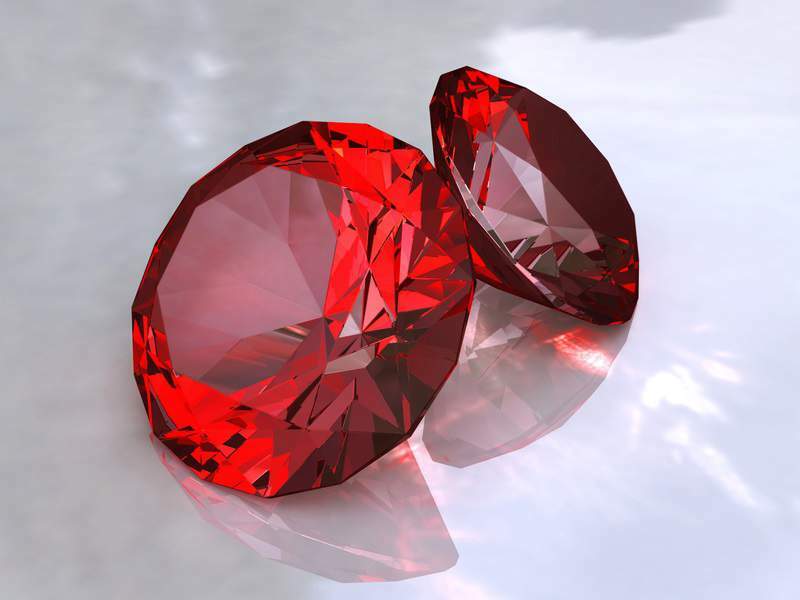 Natural ruby is one of the four “precious” gemstones (including diamond, emerald and sapphire). Ruby has long been a favorite in Asian countries. The stones have been used to ornament armor, scabbards, and harnesses of noblemen in ancient India and China. Beyond monetary value or sheer ornamental beauty, however, rubies can also play a role in self-care. On a physical level, adding ruby in crushed or ground form to skincare products makes sense. Rubies are considered to be detoxifying and purifying. Energetic red rays of this gemstone strengthen and nourish the facial skin, treat skin infections, and improve blood circulation and skin temperature. In ancient times, ruby was used to treat fever. Being a very warm-colored gem associated with fire, ruby also gives luster and brightening to the skin. 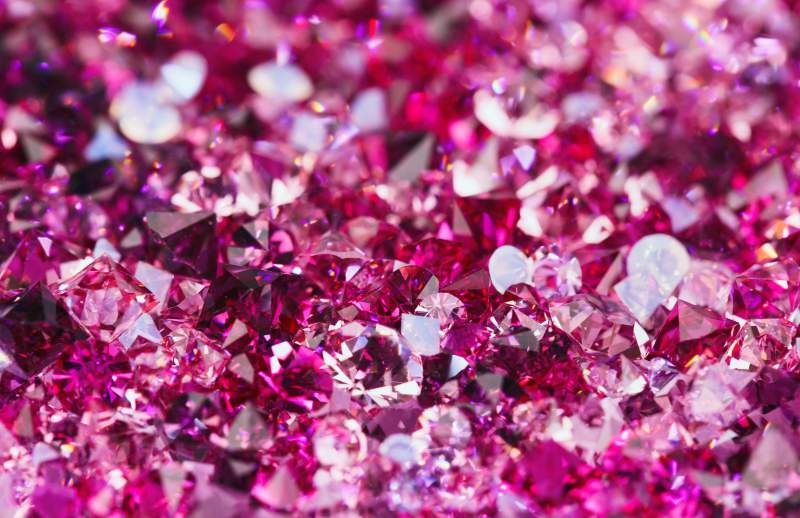 Crushed or powdered ruby can boost the moisture content and moisturizing abilities of skincare products. In a cream or lotion that will remain on the skin, finely ground ruby can diffuse light and add a rosy glow to the complexion. In a mask form, ruby imparts unique warming properties and can diminish or soften fine lines and stubborn wrinkles. It recharges the skin’s electrical balance. Ruby is also traditionally thought of as a stone of romance and passion. Considered by some to be an aphrodisiac, ruby’s energy can be used to restore and maintain harmony in a relationship. When buying ruby in gemstone form, you should know that all natural rubies have imperfections in them, including color impurities shaped like needles and known as “silk.” Experts look for these needle inclusions found in natural rubies to distinguish authentic stones from synthetics, simulants, or substitutes. Usually the rough, raw stone is heated before cutting. Almost all rubies today are treated in some form, with heat treatment being the most common practice. However, rubies that are completely untreated but still of excellent quality command a very large price. In Sanskrit, the word for “ruby” actually means “king of the precious stones,” showing how long this gemstone has been valued for its beauty and holistic healing properties. Motivation, love, power, self-confidence and increased concentration are among the emotions and traits that have been associated with ruby over thousands of years. But after years of research, the product formulators at Kristals Cosmetics also noticed that the stone has impressive properties to benefit skincare. Their findings showed that ruby helps with wrinkles and to promote radiant complexions. With this in mind, products formulators at Kristals Cosmetics looked to create the right combination of ingredients to work well with ruby to augment its effects on the skin.